Fire causes thousands of death and billions of dollars in damage in the U.S. alone every year. This is why fireproofing is a smart move for any home owner, and it is a requirement for most multi-family or commercial buildings. Even buildings built entirely from metal and concrete need protection. Learn more about Fireproofing and how it can protect your property and save your life. In 2009 the National Institute of Standards and Technology conducted a study to see if applications of fireproofing spray were effective. The study showed that this form of fire protection not only saved buildings, they offered a greater degree of safety for inhabitants and workers by allowing a 15-times longer escape time than a non-treated building. Fireproofing can be painted or spayed on your surfaces within your home or building. Fireproofing is used to coat steel to keep it below the temperature that causes weakness, but it is also used to coat electrical circuits to prevent overheating. The fireproof coating is also used to cover metal bridges and concrete tunnels and even to coat vaults. Professionally applied spray-on fireproofing is made from one or more common ingredients, including Monokote MK-6, Cafco 300 and Cafco Blaze Shield. These chemicals are combined with calcium hydroxide, mica, fibrous plasters and other combinations to speed up hardening. 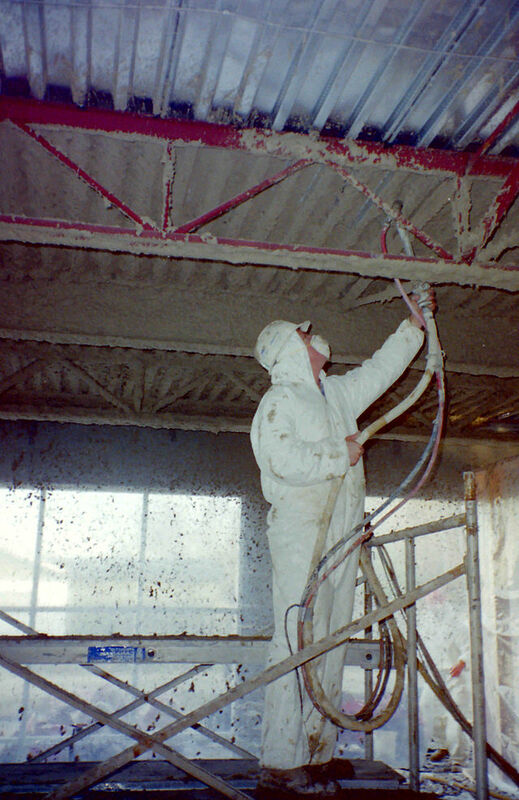 Modern sprays do not include asbestos and are safe for use in homes and commercial buildings, although the dust from construction should still be avoided without proper breathing masks for general reasons. For more information on fireproofing, contact USI online to get a free quote. USI believes that excellence in every step of the process ensures timely completion and quality service, time after time. ← How Much Insulation Should My House Have?